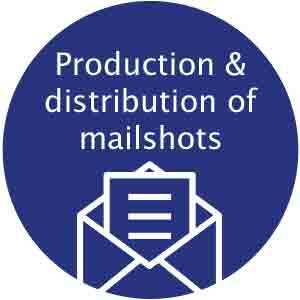 We not only meet all basic requirements and comply with the postal regulations, but we will also convert your requirements regarding a selective approach to your target group and exceptional design into an actual product – all the time maintaining our focus on keeping costs as low and production times as short as possible. Following production in our in-house lettershop, we send out your promotional materials via Deutsche Post or the major private carriers. Whether for delivery at home or abroad – we will find you the most cost-effective postage cost option.